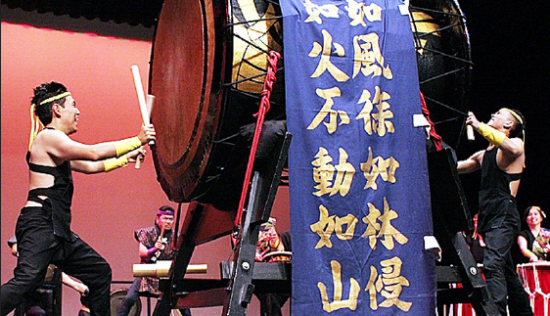 Innovative taiko drumming will be showcased at the One Sound Concert on Nov. 2. L.A. Matsuri Taiko and Venice Koshin Taiko of Hongo Taiko Schools are proud to present One Sound Concert: LA Taiko Festival XII. This will also be a celebration of the 40th anniversary since Sensei Etsuo Hongo brought his taiko style to the United States. The concert takes place on Saturday, Nov. 2, at 6 p.m. at the Aratani Theatre in Little Tokyo. Hongo’s style is described as one with powerful sounds, various challenges in techniques, exciting movement and visual presentation like no other. His style is still unique and eye-opening today, as it has been since its inception. Hongo’s teachings include not only the technical aspects of taiko, but the discipline, etiquette and spirit of the drum that are equally important elements of learning taiko. The One Sound Concert will also be featuring a special guest artist, Mizuho Zako, a leading taiko player from the internationally renowned Oedo Sukeroku Taiko. She has been with Oedo Sukeroku Taiko for over 15 years and continues to perform with the group in Japan and worldwide. 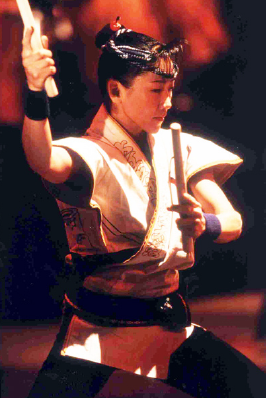 Zako is best known for her tenacious “Yodan-uchi” solo featuring her signature cartwheel moves. With her strong and graceful movements, her presence adds brilliance to the concert. She will also offer a few workshops on the following day. With featured performances by guest artists, highlighting the roots of Hongo’s innovative yet traditional style, as well as a sample of the future of his teachings and the incorporation of other traditional Japanese artistry, this evening promises to be an experience filled with mesmerizing performances showcasing Hongo’s unique style. General admission: $20. To purchase tickets, visit www.lataiko.com/concert.